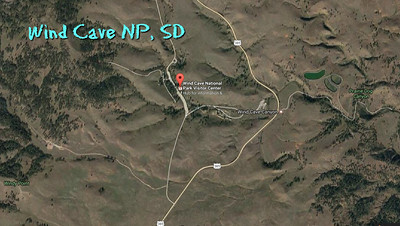 South Dakota NP + cave tour in 2015 on the way to Colorado. Mom skipped the tour and napped instead I think. Why not stop when you are passing through anyway? I took the tour as well. Marilyn got a nap while waiting. Really! 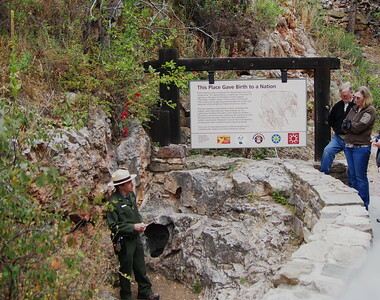 American Indians of the area have known about the opening to Wind Cave and the winds that move in and out of it for centuries. 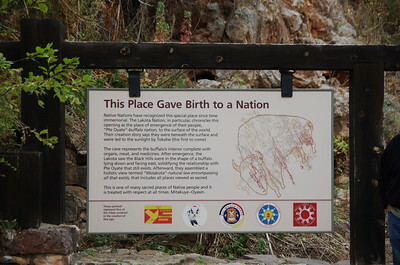 It is a sacred place for many tribes. 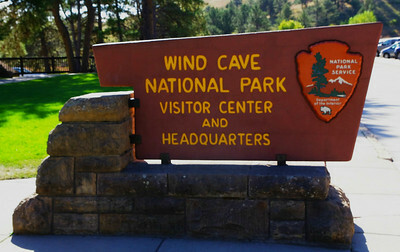 In 1881 Jesse and Tom Bingham were also attracted to the cave by the whistling noise of the air coming out of the cave. 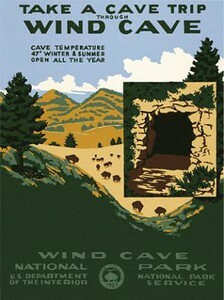 As the story goes, wind was blowing out of the cave entrance with such force that it blew off Tom's hat. 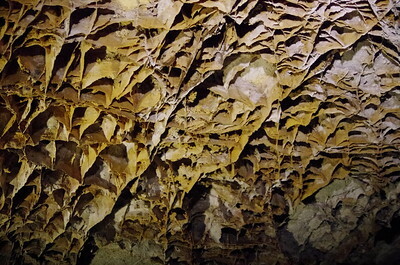 A few days later when Jesse returned to show this phenomenon to some friends, he was surprised to find the wind had switched directions and his hat was sucked into the cave. 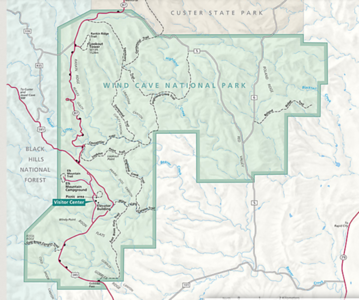 Today, we understand that the movement of the wind is related to the difference in atmospheric pressure between the cave and the surface. 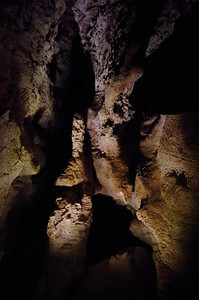 The first person reported to have entered the cave was Charlie Crary in the fall of 1881. 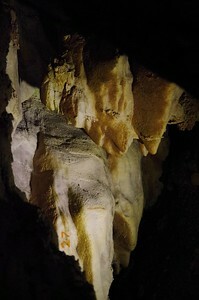 He claimed to have left twine to mark his trail, and others entering the cave later found his twine. 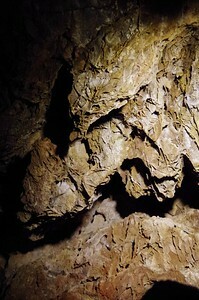 These early explorers were the first to see a rare cave formation called boxwork.